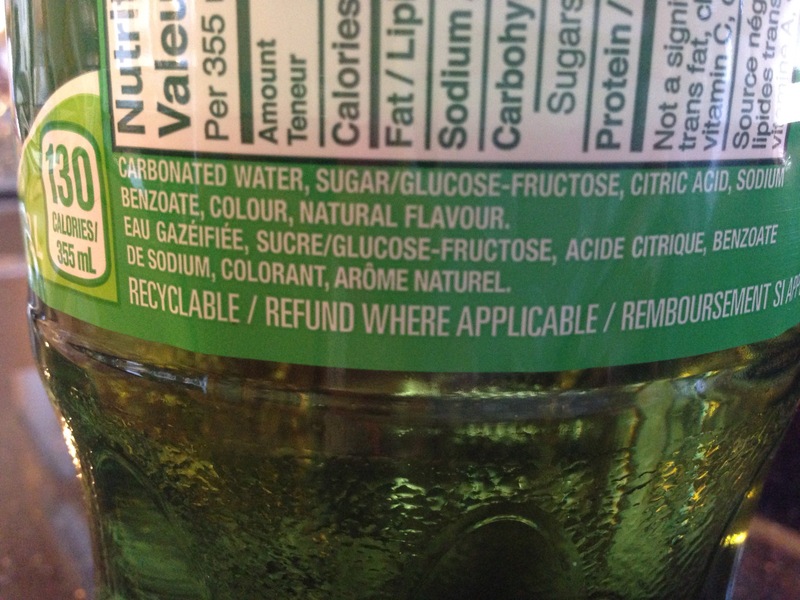 If you actually read the ingredients, they’re mostly made of carbonated water and sugar with both natural and artificial colours and flavours thrown in. 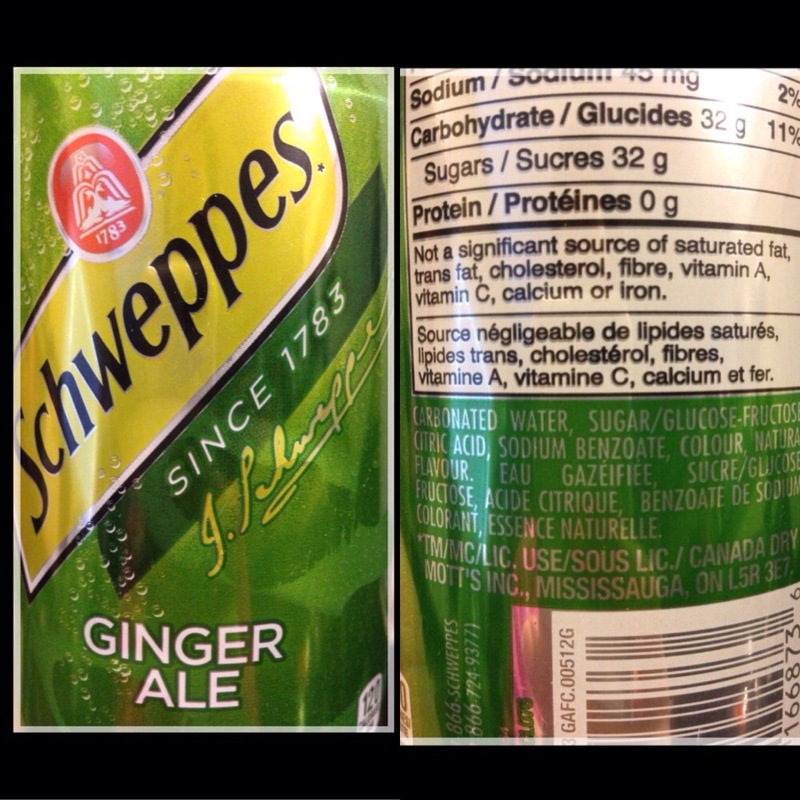 The only brand that I’ve seen that makes the claim “made with real ginger” on the label is Canada Dry, but if you read the ingredient list it’s still mostly sugar and additives. A pregnant friend of mine recently told me that she drinks ginger-ale sometimes for her morning sickness, because she thought it contained ginger which is a proven remedy for nausea. It made me wonder how many pregnant women out there are unknowingly consuming sugar and harmful artificial additives under the false impression that they are drinking a “healthy” beverage to help with their morning sickness. It also got me thinking about all the parents who probably still give it to their kids for tummy troubles. 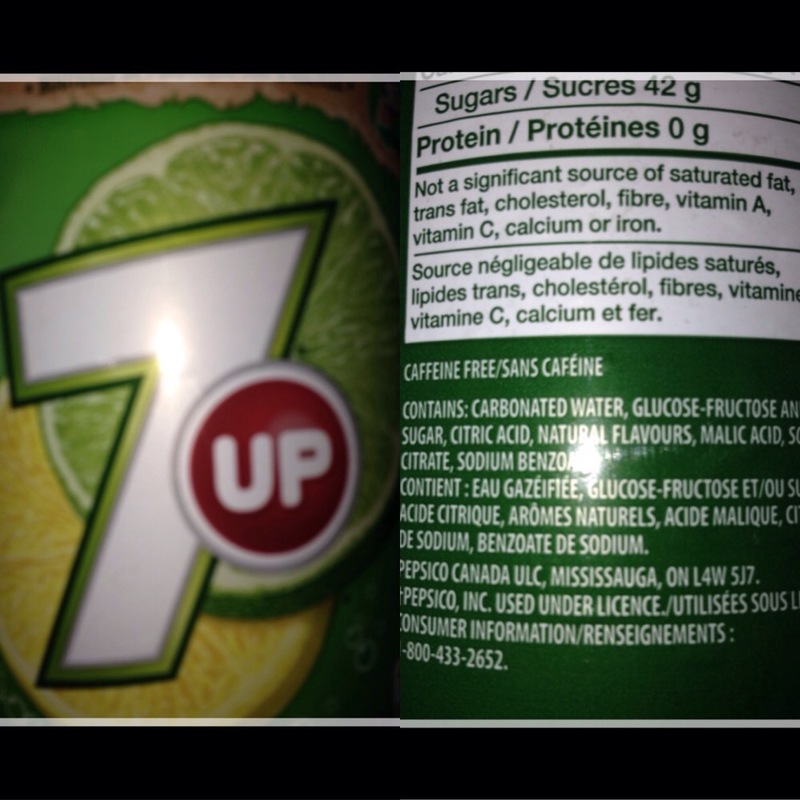 If you look at the ingredient list for soda, it’s not much different. Most pregnant women wouldn’t drink 7-up to cure morning sickness, nor would most parents give their children sugar filled soda to cure an upset stomach. 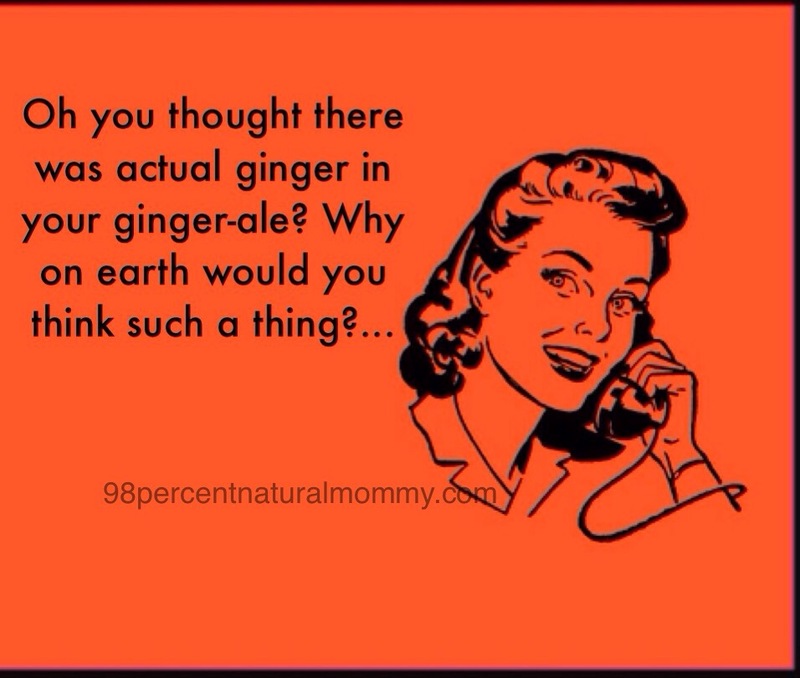 But store bought ginger-ale is basically the same thing. As a better option, try boiling some ginger in water and then add a natural sweetener like honey. You’ll get the benefits of ginger without any added sugar, colors or flavors. If you or your kids prefer fizzy drinks, add a little plain carbonated water and you’ve got yourself some homemade ginger-ale.